To Paul and Lisa Welch for the faithful preservation of 209 W. German Street. Since purchasing the home in 2004, the Welches have preserved and restored important features of the home. 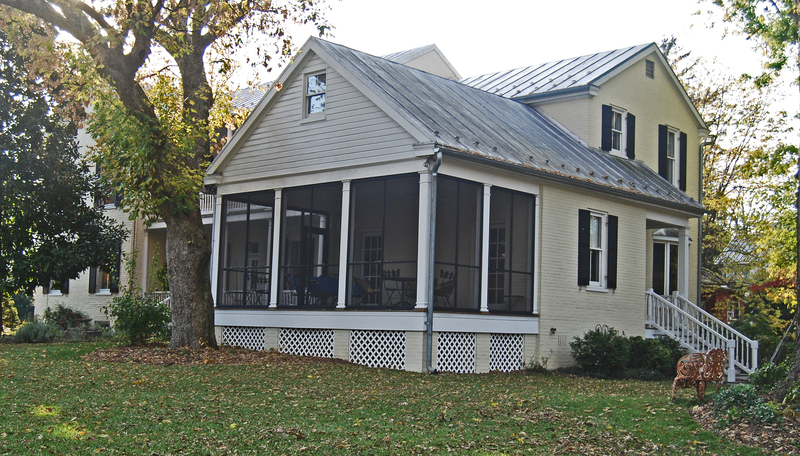 The double-gallery porch, which had deteriorated badly, was restored to its original configuration in 2011. The kitchen was sensitively rehabilitated at about the same time, providing a cheerful and spacious venue for entertaining and culinary activities. Both Lisa and Paul take special pride in the fact that throughout its lifetime, the house has been maintained in a historically appropriate manner. To Paul and Laura Davis for their sensitive restoration of 109 and 111 North Mill Street, begun in about 2000. The two-story town house at 109 N. Mill is the old Snively Tavern and dates to the early 1800s. A large gracious living room is perhaps the most striking interior feature of the home. The adjoining building at 111 N. Mill may be of similar age, but shows fewer identifiable historic features. Each structure has been restored and upgraded with equal care. The window trim on both buildings is painted in stunning black and lime white, effectively blending their appearance from the street. To Keith Boyd, Clarence Branson, Charles Hunter, Eugene Roman for preserving historic legacies of Shepherdstown. Grant and Sarah Moerschel were presented one of the 2013 Preservation Awards for preserving the Historical Integrity of their 1928 Arts and Crafts Style home during an extensive renovation. Listed in the National Register as a Contributing Structure to the Historic District, the Moerchels 1928 home at 108 North Duke Street spent about 6 months on the renovations. Major support beams were placed in the ceiling to provide the proper support for the second floor, which, up to that point had not been adequately supported. Several rooms on the first floor were reconfigured, the kitchen was enlarged, rear door entryway reconfigured, and a den beyond the kitchen was created by enclosing and adding to the carport. These changes to the carport provided a comfortable family room and provided additional bedroom space upstairs. The restorations continues as the Moerschels are also restoring the matching red brick gragage behind the house, using as much of the original materials as possible. Elmwood Cemetery was the recipient of another 2013 Preservation Award for the continued preservation of the 1780 Cemetery. 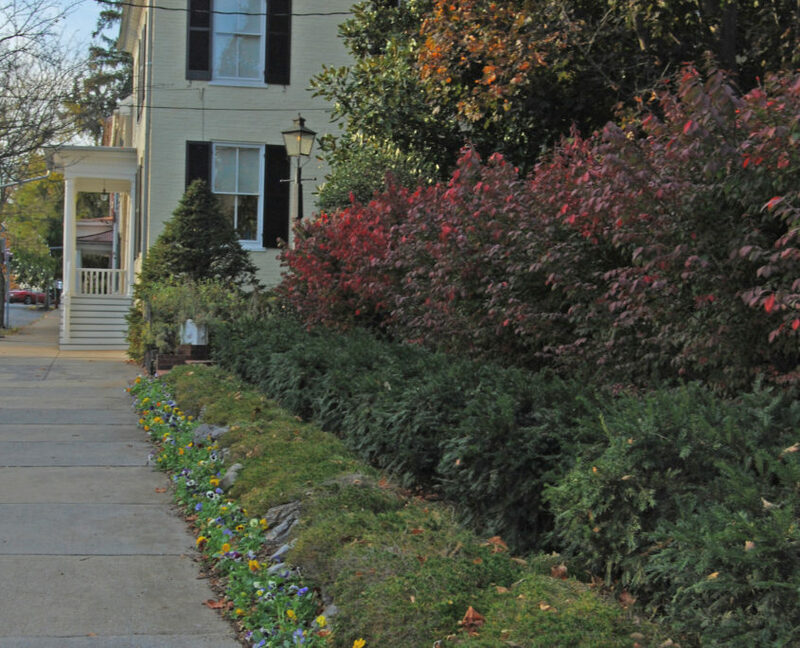 Elmwood lies within the Shepherdstown Historic District and was established in 1780 by the Presbyterian Church. The Methodist section was added in 1833. In 1867 The Southern Soldiers’ Memorial Association of Shepherdstown was organized to acquire a burial site for the Confederate soldiers who died during and after the Battle of Antietam. A lot next to the Methodist Cemetery was purchsed and 114 men, many unknown, are interred there. The Confederate Soldiers Regiment Monument was erected in 1935 by the Sons of Confederate Veterans. The State of West Virginia lists the names of 535 Jefferson county men who served in the Confederate Army. Elmwood Cemetery was chartered in 1867, dedicated in 1870 and is managed by the Elmwood Cemetery Association, headed by President Richard Brown since 2004. Numerous improvments such as the restoration of the vault in 1999, a new welcome sign, a brick sidewalk outside the fence was uncovered and restored, a memorial tree planting project was established and roadways were given names of tree species and newer sections were paved. The front fence was taken apart section by section, sand blasted and powdercoated and replaced. Richard Brown was also honored with a 2013 Preservation Award for his continued dedication to the preservation of Elmwood Cemetery. His countless hours of devotion and research to maintain the dignity and respect to the cemetery are greatly appreciated. Over the past five years few people have had a greater impact on restoration and preservation of historic sites in Shepherdstown than John Griffith. John can be credited as the driving force behind several preservation projects, but two such activities are of particular importance, and require special mention. 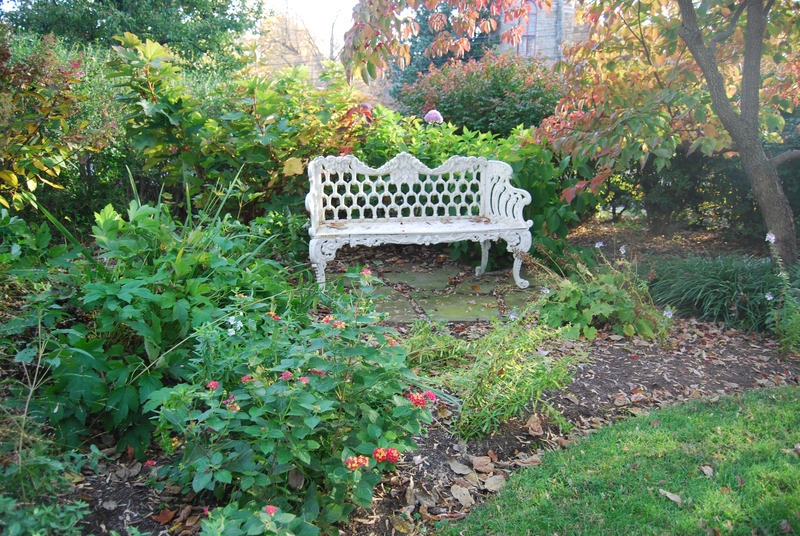 In 2006 John organized and oversaw a project to clean up the old Roman Catholic Burial Ground located on the western edge of the Shepherdstown community. This site is more commonly known in the area as the “Irish Cemetery”. This property was donated to the St Agnes Parish by a local family in the mid-1790’s; and at one time, the site boasted a log cabin chapel where mass was provided by a missionary priest. In the early 19th century a mass grave was created on this site for a large number of Irish workers who died during a cholera epidemic while participating in the construction of the C. & O. Canal. Due to John’s efforts, unwanted trees and overgrowth were removed from the site, a fence was constructed along the property line between the cemetery and Shepherd University property and a proper historic marker was installed. From 2005 to 2011 John served on the Board of Directors of the Historic Shepherdstown Commission, and during the final three years of this period he served as President of the Commission. 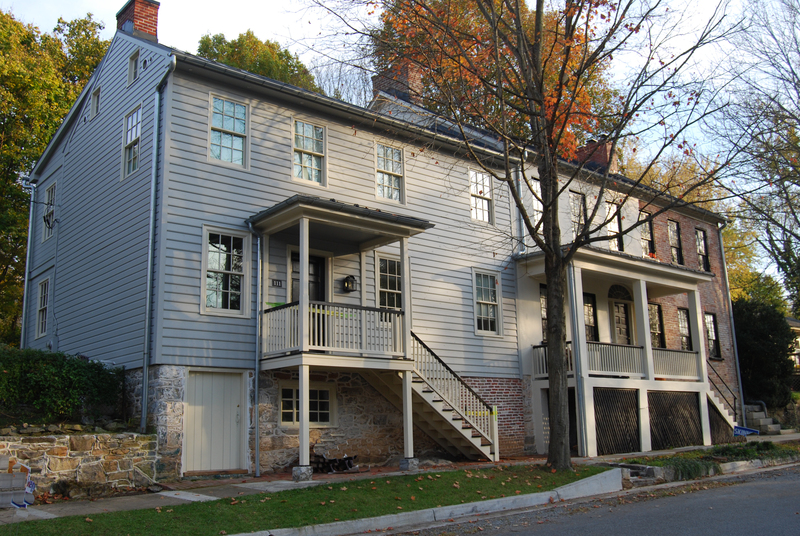 Under his leadership, and with the financial support of the Corporation of Shepherdstown, a major restoration project was conducted on the Entler Hotel. All five chimneys were rebuilt above the roof line, water damage throughout the building was repaired, parts of the stone wall in the basement, including the fireplaces were repaired and rebuilt and sagging wooden lintels on both sides of the conference room were replaced with steel lintels. Externally, faulty bricks were replaced, mortar was repointed, rotten wood in windows, doors and the porch was replaced and walls, trim and the porch were repainted. John was also instrumental in creating the walking path which runs around the perimeter of Morgan’s Grove Park, another area of local historic significance. Through John’s efforts on the Commission’s Preservation Committee, many additional local restoration and preservation projects on historic sites and homes have received much deserved public attention. The Corporation Of Shepherdstown, under the management of Mayor Jim Auxer, was awarded the 2011 Preservation Award for their continued support of The Historic Entler Hotel Building. Over the past 2 years there was extensive restoration of the building completed. The fireplaces and chimneys that are the major support of the building were deteriorating and required major repair. The exterior of the building need the stonework repointed and the brick needed painting. Many of the boards on the porches were replaced and painted. The Shepherdstown Corporation supplied the financial support for this work to be done. Historic Shepherdstown Commission is very greatful for this support. Restoration of a little cabin that once stood on College Street was the basis for the 2010 Preservation Award to Dan Tokar. In 1998 this cabin had remained vacant for 25 years since the town had annexed the area. Because of the lack of running water and a bathroom no one could live in the cabin. Dan believes the cabin could have been built in 1775, but was definitely built before 1820 because of the wood and metal materials used in the construction. The owner, Sally Johnston could not obtain a demolition permit and Dan agreed to buy the cabin, however Dan had to find a lot to move the cabin to. He spent 2 years looking for a lot and 325 West High Street became the cabins new home. In 2000, Dan began disassembling the cabin. He took it apart, literally, stone by stone and log by log. He used copper tags with numbers and letters to help him reassemble the cabin once he got it moved. Dan spent one entire year putting together the stone work foundation. Another year was needed to frame the logs and roof. The third year was spent rebuilding the chimney and fireplace. Most of the materials used were salvaged from at least 3 other buildings. Other bits and pieces used in the rebuilding were scavenged from probably 15 other houses in Jefferson and Berkeley counties. Since Dan does not have a driver’s license, he relied on 50 to 75 friends with trucks to move the logs and materials. Dan estimates that he has spent over 6000 hours in the project over the last 10 years. He has done all of the electrical wiring and plumbing. Currently he is putting on the finishing touches for the required kitchen and bathroom and hope to be in his new digs before the end of 2010. In 2005, a rather routine repainting of Shepherd’s McMurran Hal was undertaken. This was to be the repainting of all wood items and window seals. During the repainting, a significant bulge in the back wall of Reynolds Hall was detected. This bulge was a major structural defect and needed to be addressed. Renovation of the bulging north wall of the building was started in 2006. To do the rebuild, a frame to support the roof had to be constructed so the entire foundation of the north wall and part of the east wall of the building could be torn out. Once the foundation was out, approximately 60 pilings, measuring 4 inches and 6 inches in diameter, were drilled approximately 30 feet deep in the existing foundation. The pilings were then filled with concrete and the new foundation was poured on top of that. It was a challenge for the new construction to match what was being suspended. The construction of the foundation and the new wall took approximately 6 months and required a lot of preparation and planning. All the brick on the north wall had to be removed. The stones in the Town Run Garden were repointed. The Town Run wall had to be rebuilt and repointed. The handmade brick on the building is a unique size and composition. Gruber Latimer Construction was able to find very similar bricks for the replacement. Approximately ½ the wooden shutters on McMurran and Reynolds had to be torn off and replaced. Some were sent to a location in PA where they were able to be restored. Reynolds Hall was 120 years old at the time of the renovations. 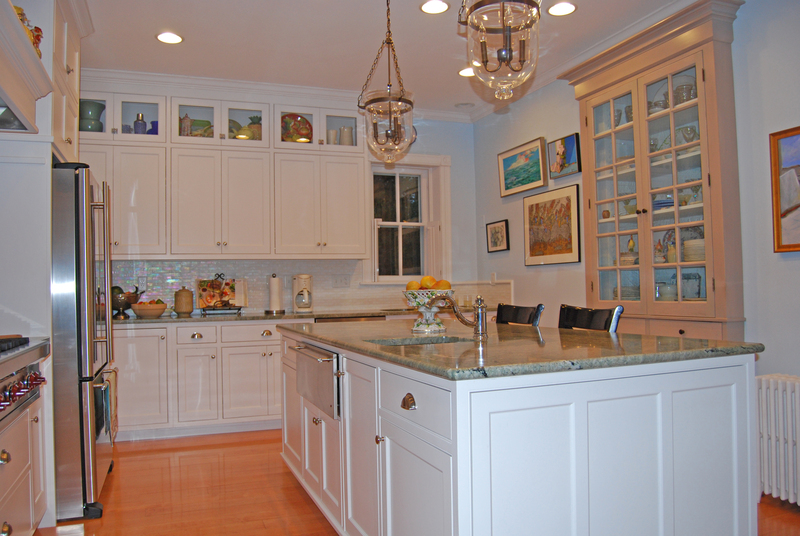 What began as a repainting project developed into a 9 month renovation and restoration project. Most of the work was overseen and carried out by BFM Structural Engineers from Baltimore, MD. Structural repairs to the buildings cost approximately $1,500,000. Painting and other cosmetic updates cost another $1,500,000. Dan Yanna, Director of Facilities, Shepherd University, oversaw and coordinated the entire project for Shepherd University. Following the renovation and restoration, the painting of McMurran and Reynolds Hall was begun and completed in 2007. Historic Shepherdstown & Museum awarded two 2008 Preservation Awards at their August 6th Board meeting. Preservation Awards are presented to anyone within the Shepherdstown Magisterial District who have restored or renovated an historic structure respecting the historic integrity of the structure. Located at 120 W. German St., Shepherdstown, was re-opened as a new business, to the public in September 2006 following five months of renovation by its owners, Mike & Deb Luksa. Restoration was performed by Pettit Construction Company with a fair amount of “vision and supervision” provided by Mike, Deb and Mikes parents. The original building was built in 1793 and has housed many and varied businesses over the years; but, perhaps the most memorable business to occupy the site was the “The Press Room at the Independent.” The newspaper business began there sometime around 1906 and continued into the early 1970’s. Three framed newspaper pages from 1937 adorn the wall leading to the restroom area. The top semi-circular windows on the exterior of the building are original and the wavy lead glass panes chronicle their age. The lower portions of the windows have been replaced. The exterior doors and door knobs were there when the Luksas bought the building; so, their originality is uncertain. A weather room vestibule at the entrance was added during renovations. The black color of the windows, doors, vestibule and the building exterior were Mike’s personal preference. The archway leading into the main dining area was already there and leads to a drop ceiling, above which heating an air conditioning duct work is located. The brick walls in the main dining area are original and beautiful. They were plastered over and had to be “gingerly” exposed. The wood floors throughout are thought to be original and were discovered when the existing carpet was pulled up. A solid wood beam, original and in excellent condition, spans the doorway leading into the bar area, which at one point in time had served as a Wells Fargo office. An original brick fire place, located in the bar area and in excellent condition, was plastered over and had to be carefully stripped and rejuvenated. The original proposed kitchen area was very small and, out of necessity for storage, its interior wall was extended towards the main dining area by approximately 4 feet. A 6’by 12’ pit 4’ deep, in the center of the current kitchen area, had contained the printing press and had to be filled in. The original red brick and yellow cream wall colors provide a very warm and comfortable setting. The Susan Carney framed food pictures on the walls provide another warm and “appetizing” touch. 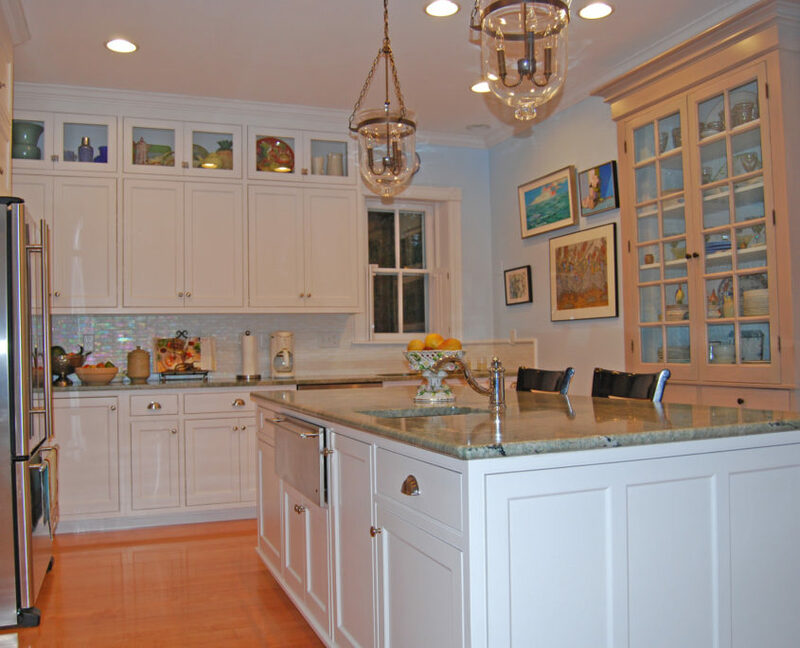 The entire renovation motif has been artistically, “tastefully, and professionally done. 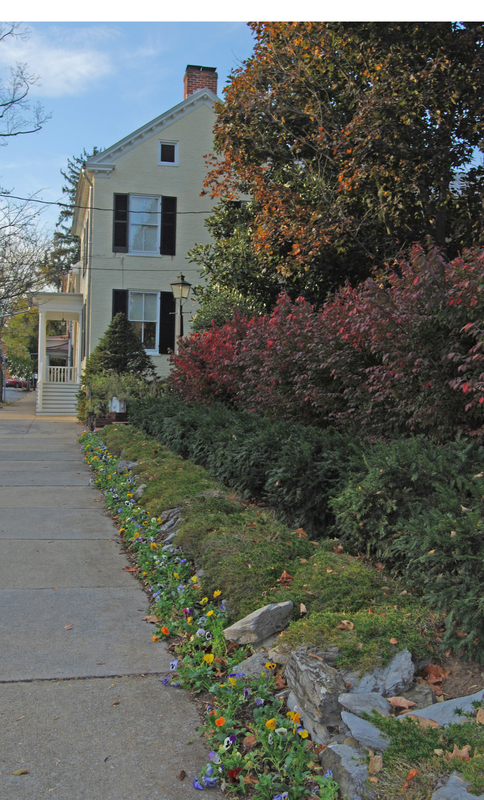 Located at 210 W. German Street, Shepherdstown, was purchased from Sylvia Ellsworth in 2005. 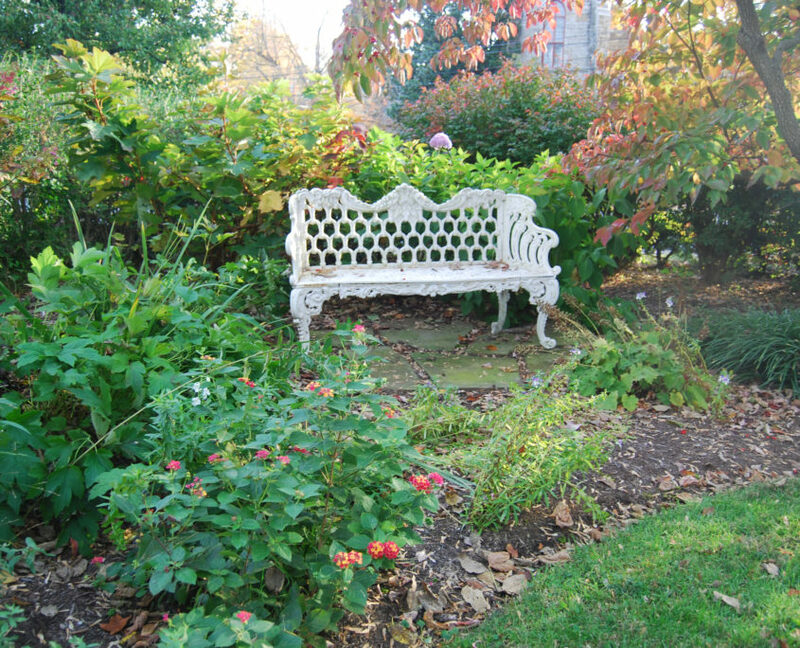 Restoration began on October 1, 2005 and the restored offices and rooms became occupied by various officers and members of the Trinity Episcopal Church in January 2006. The exterior of the building was not touched. The house was built in 1884 by H.L. Snyder; editor of the Shepherdstown Register. Mr. Snyder remodeled the home in 1904 adding the front porch & the projecting bay and added the exteriors stone work The house is built in the Italianate & Neocolonial influence with the somewhat unique greenish-colored exterior stone was quarried at the Baldwin Quarry in Chester, PA. Subsequently, Ms. Hafer, and then the Johnson family, ran the house as a Bed & Breakfast for many years. Inside the house, everything is original. John Van Tol chaired the restoration committee and all the work was done by dedicated volunteers of the Trinity Episcopal congregation. Tom McSwain oversaw the technical and somatic repairs; and, baseboards, door frames, door facings and floors were repaired where possible and pieces replaced only where necessary. Shutters and roof moldings were restored where possible and new pieces were matched to the old as best they could be. Bathrooms were reconfigured and numerous minor structural changes were implemented. All of the original stained glass windows have been preserved. An original apartment on the ground floor has been converted into the office of Rev. G.T. Schramm. The original dining room in now the church office. The original kitchen has been converted to a “utility” room where the copier and the coffee pots generate the majority of the activity! The second floor is used for classrooms and other children and student activities. The house has been restored and preserved with appropriated care, utility and attention to detail. The paint colors throughout the house are subtle an appropriate and the work has been done in an artistic an professional manner. 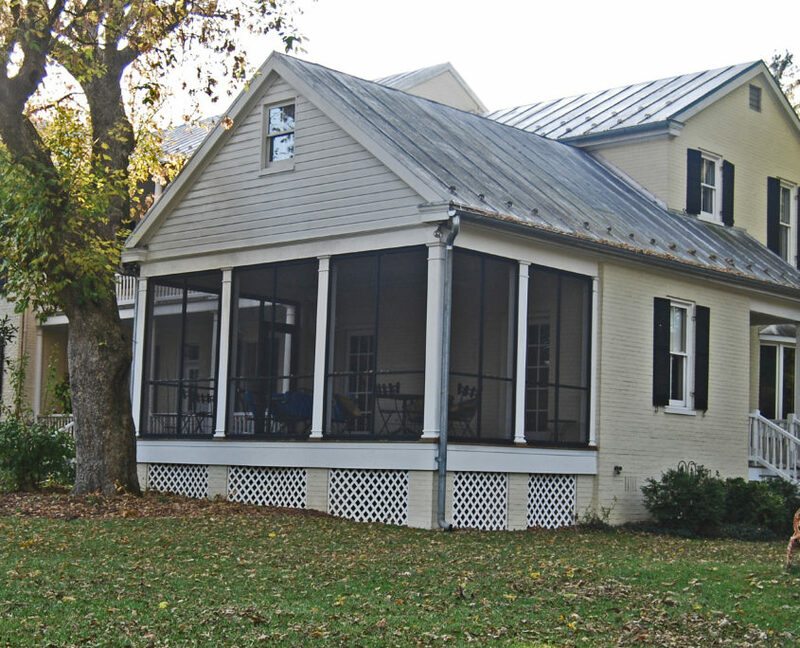 Located on Shepherd Grade Road in Shepherdstown became the grand manor house for R. D. Shepherd, grandson of Shepherdstown founder Thomas Shepherd, when he returned from a successful business career in New Orleans in 1840. After his death in 1865, the farm was operated by his family, the most famous of which was his nephew Shakespearean actor and silent film star R. D. Shepherd McLean. In 1911 the farm was sold to Holland Tunnel engineer Edwin S. Jaret, who installed the central heating system. He was succeeded by Bob Moss, a NASA engineer who continued the upgrades and whose wife operated a school on the property. In 1998 Gat & Susan Caperton fell in love with Wild Goose Farm, bought and refinished it all over again, upgrading the plumbing, wiring, HVAC systems and rebuilding the tenant house and barn. The Manor House is almost 10,000 square feet consisting of nine bedrooms, nine fireplaces, eight baths, five porches, a ballroom, library, billiard room, dining room, kitchen warming room, a fireplace, dressing rooms, large steam shower and claw-foot bathtub. There are five re-finished claw foot bathtubs in the main house. A guest suite has a large sitting room bedroom and private bath, and there is a fully equipped laundry on the second floor. The farm consists of 174 acres of pasture, woods and pond. Ninety acres are reserved with the Manor House. In addition to the Manor House, there are wood, brick, and stone outbuildings, a refurbished two bedroom tenant house, and a 40X80 foot timber framed barn. The Tenant House has two bedrooms, living room den, sun room, and 1.5 baths plus a broad front porch. 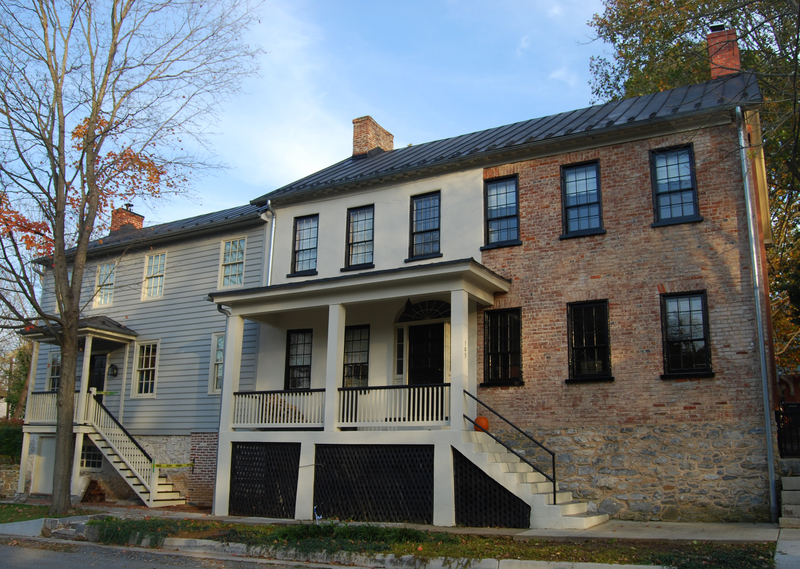 Historic Shepherdstown & Museum awarded three 2006 Preservation Awards this past Saturday at the May 27th Board meeting. 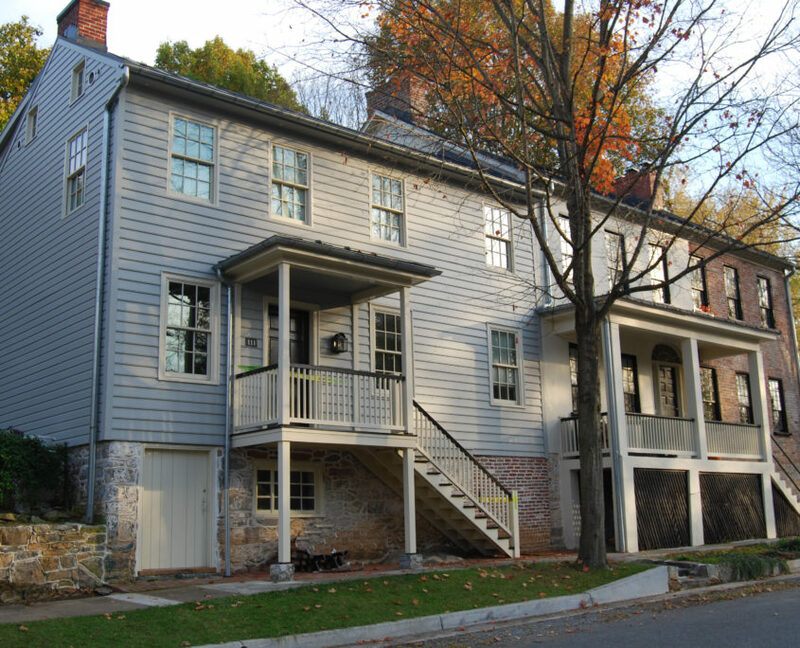 Preservation Awards are presented to anyone within the Shepherdstown Magisterial District who has restored or renovated an historic structure respecting while respecting its historic integrity. This year Preservation Award recipients were John & Teace Noel, John & Hope Snyder and Charles & Beth Printz. John & Teace Noel spent the better part of two years renovating their home at 211 W. Washington Street, which was built in 1792, one of the oldest structures in Shepherdstown. Due to its many uses over the years it was impossible to restore to its original shape. The Noel’s worked with the Division of Culture & History and received a grant for a portion of the work. The Noels completely gutted the interior due to deterioration and in doing so found a log structure underneath. It was common for the structure of a house to be built with logs and as money allowed the exterior was covered over and then the interior. The Noels choose to leave some of the interior logs exposed but covered the outside with German Siding. It was very evident that the Noels restoration was done with much research, planning and careful attention to detail. John & Hope Snyder purchased the (former) Presbyterian Manse at 201 W. German Street four years ago and spent two of those years renovating it. The Snyder’s worked with Nat Lawson on the renovation and were lucky to be able to preserve all the original fireplaces, floors and much of the architectural detailing. They were quite surprised to find that the basic structure of the house was strong even though they found evidence of fire damage. 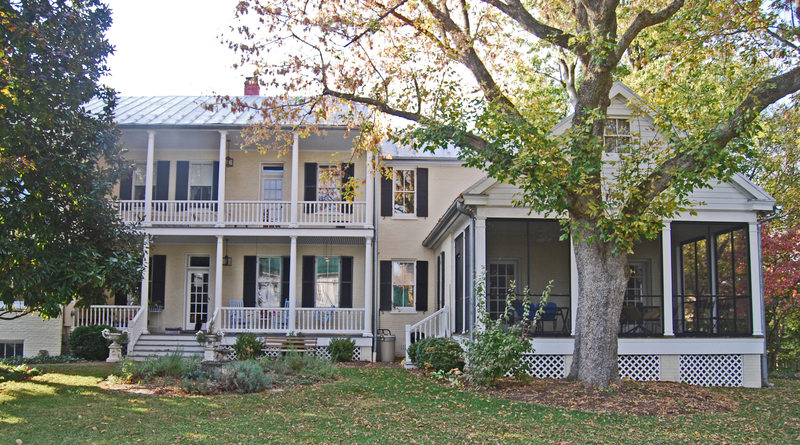 The Snyder’s home was built in 1810 with a Federal influence and housed Jefferson Security Bank in the rear wing of the structure in 1869. 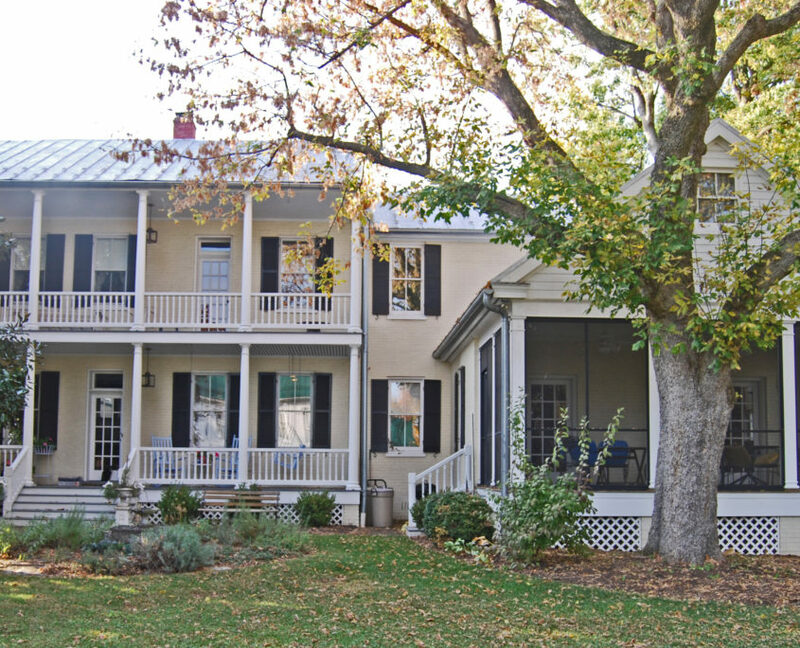 Although the Snyder’s restored and renovated an historical home they have achieved a unique balance of retaining and preserving the historic character while bringing it into the 21st century filling it with a young energetic family. Charles & Beth Printz received a special 25th Anniversary Award for the excellent restoration and renovation of Aspen Pool Farm off Trough Road. The Printz’s purchased Aspen Pool Farm in 1971 and spent the next ten years restoring the 1824 native stone home not moving in until 1981. When the Printz’s purchased the property they were concerned about the ability to save the home it was in such bad shape. In addition to no pluming or heat a two story log section on the east side of the house was in such bad shape it did have to be torn down. Just recently the logs from that section of house were used by Bruce Dahlin to help build the reproduction log home on West German St. In working with an architect from Washington County, Md., Eleanor Lakin, designed a brick addition to replace the log wing of the house. A pink brick was used to blend with the native limestone. In addition, a two-story carriage house was also renovated in the project. 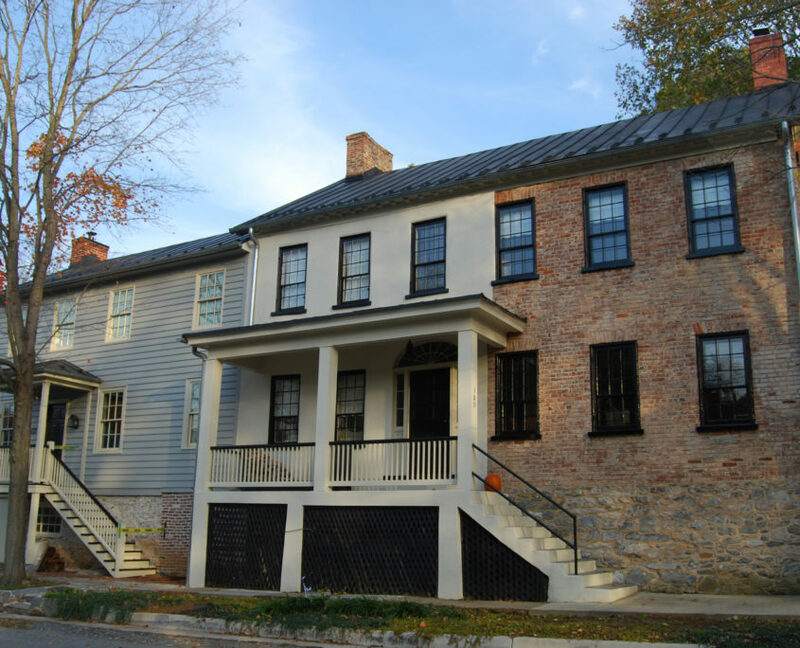 Historic Shepherdstown Commission wishes to recognize these three families for their excellence in Historic Preservation in the renovation and restoration efforts on their homes. Pamela & Justin Simmons. 105 N. Princess St.
Michael B. Vaughn 206. E. German St.
David & Sue Kemnitzer 301 W. German St.
Marty & Lisa Baach 110 S. King St.
Bruce Dahlin 327 W. Germans St.
Gloria & Ray Eshelman 207 & 209 West New St.
Debbie Dickinson & Meredith Wait 103 W. German St.
John Lacey & Carolyn Holcomb Tabler properties, W. German St.
Diane Hoffman -308 W. German St.
Bill Lukens Old Tabler’s Dry Good Store., German St.
Roger Munro 105 S. Princess (formerly 1876 Club), 107 S. Princess (sold to Keith Knost), 109 S. Princess St. (restoration of exterior) (purchase of 3 derelict properties).